Combining excellent climbing and descending mannerisms with playful handling, the Transition Patrol was one of last year’s top bikes (click to enlarge). First launched in late 2014, the Transition Patrol has been a runaway hit for the small Washington-based brand. It features their new GiddyUp Suspension platform, which uses a Horst Link configuration (hence the “horse” play on words). 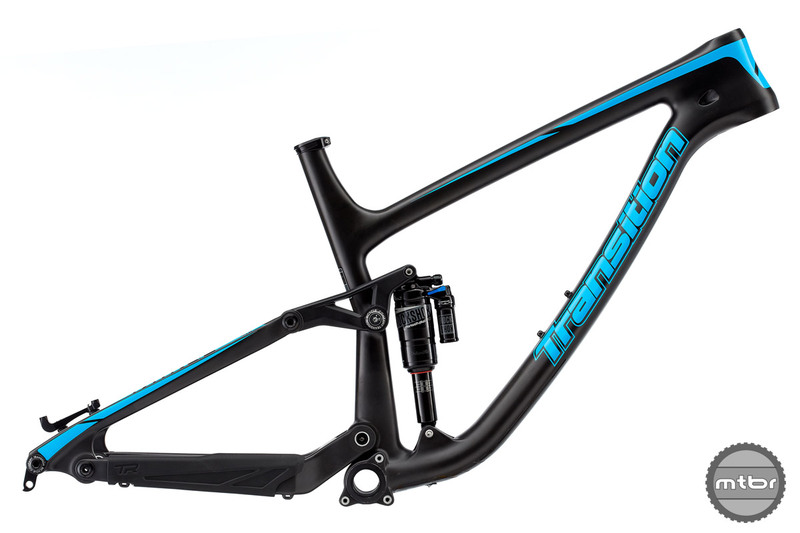 Transition announced a new carbon version was in the works earlier this year and have officially launched this week. This new version shares the same long, slack progressive geometry as the alloy version, and mechanic friendly collet style pivots and threaded BB, but sheds about 600 grams. Check out this video to learn more. Our favorite features of the Carbon Patrol are the P.A.B.S.T. (Put A Bottle and Stuff in There technology) and T.I.T.S. (Tubes in Tubes System). To learn even more about the company and the new model, we reached out to co-owner Kevin Menard. Here’s his take on the new bike and more. We’re not sure we’ve ever seen Kevin Menard without a smile on his face — or a cold beverage in hand (click to enlarge). Mtbr: Who are you and what do you do? 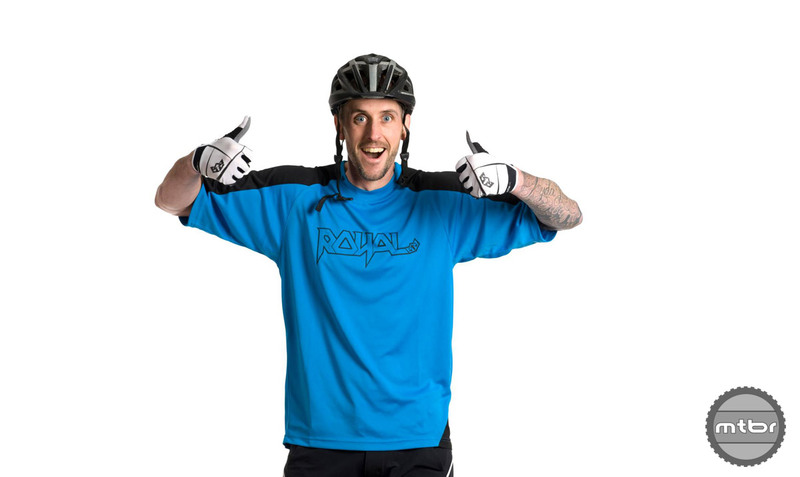 Kevin Menard: My name is Kevin Menard and I am co-owner of Transition Bikes. My partner Kyle manages the business operations and product development side, and I handle brand management as well as managing the sales and marketing teams. Mtbr: If you had to describe your brands in seven words or less, what would they be? KM: Who needs seven words I can do it in one: FUN. We are all about having fun. Capes, lab coats, and mini ponies are only some of the unusual things Transition employees deal with during the work day (click to enlarge). Mtbr: Where is Transition based and how many people work there? 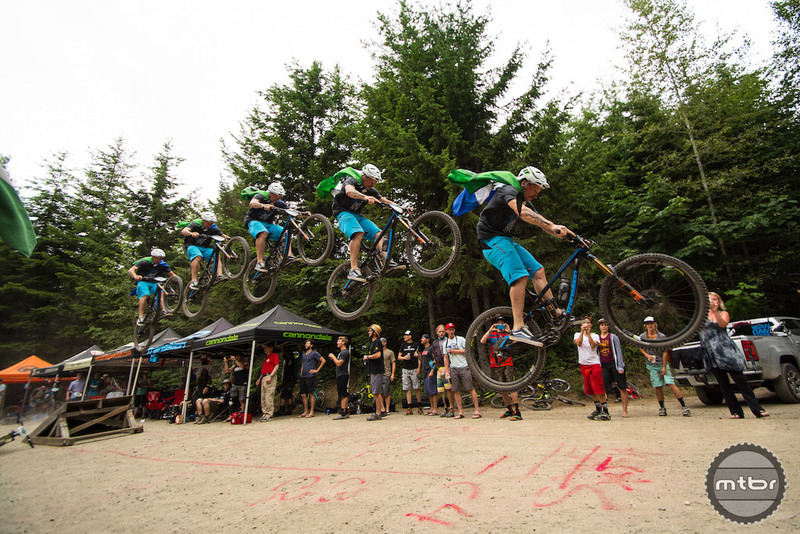 KM: We are based in our new headquarters in Bellingham, Washington, about a 10-minute pedal to world class mountain bikes trails and about a 30-second walk to an amazing brewery. Mtbr: How does being located in the riding Mecca of Bellingham influence your company’s bike designs? KM: We call where we are based Cascadia since in addition to Bellingham and Washington we frequent British Columbia as well as Oregon. 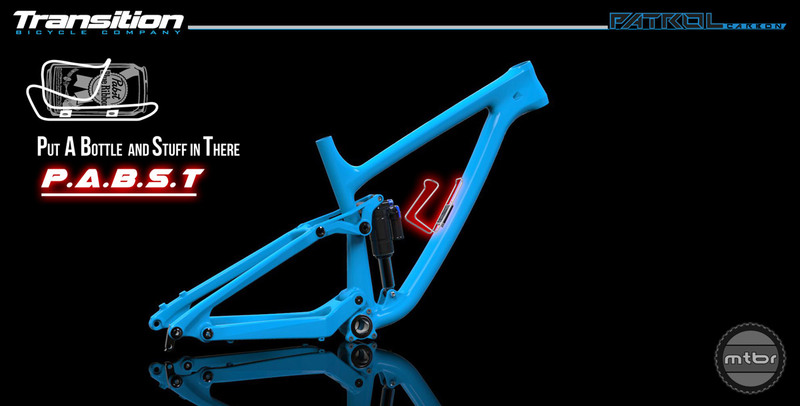 It has a huge influence in how we not only design our bikes but also spec parts. 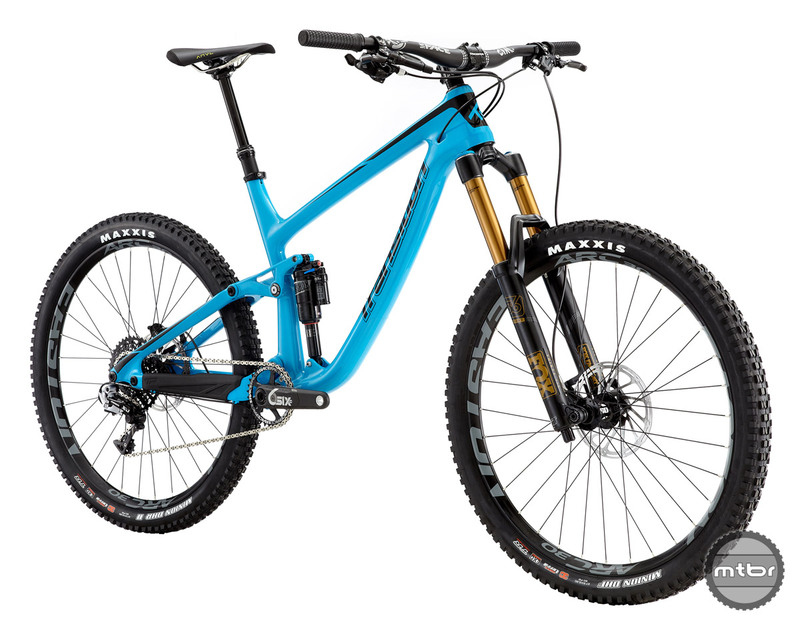 We have a super wide variety of styles of trails here, from steep, natural and loamy to flowy jump lines and XC trails so we like bikes and parts that are versatile and can switch between styles very easily. We like grippy soft rubber, wide spaced large lugged front tires for cornering in loam and moving mud through the tires, fast rolling rear tires, wide bars and short stems, and super strong non fading brakes for long steep descents. The incredible riding around Transition HQ plays a big role in development (click to enlarge). Mtbr: It seems like most of your product launch videos feature employees. Does everyone at the office rip? What are lunch rides like? KM: It is pretty rad because everyone here has a pretty different style of riding and what they prefer to ride, but at the end of the day we always can agree on getting out and riding awesome all natural Northwest style trails. Everyone here is very committed to riding and in a town like Bellingham, where almost everyone is a total ripper, we have to ride hard to keep up. While Transition generally prefers Hops, PABST is a better alternative for long rides (click to enlarge). Mtbr: What kind of beer are we mostly likely to find in the office fridge? KM: We are definitely love good craft beer especially from our local Bellingham breweries, but we also aren’t afraid to throw back a tasty Rainier or Dusty Bullet after a ride. Hoppy IPA’s are a company favorite for sure. 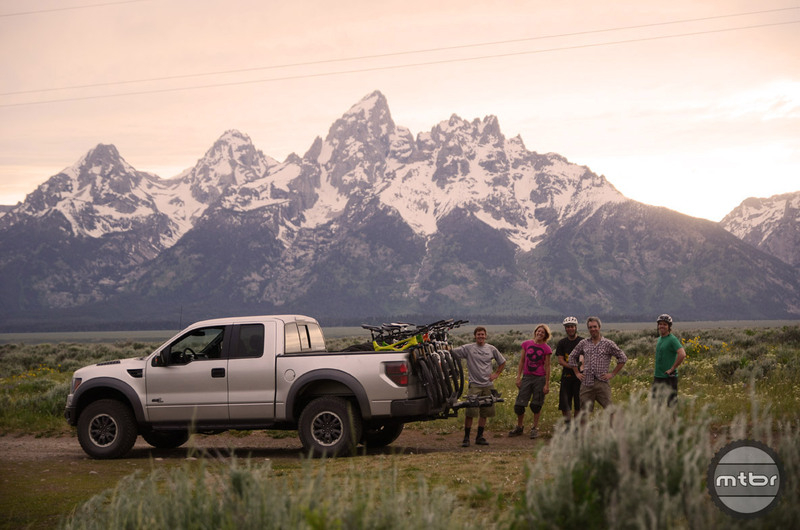 Nice interview and nice picture of the gang with the Tetons in the background. Not quite Cascadia, but great riding nonetheless….. Shadow Mtn maybe?